A-HOTEL.com - Luxury and cheap accommodation in Yur'yevka, Russia. Prices and hotel, apartment booking in Yur'yevka and surrounding. Best Hotel is located right on P-178 Motorway, which connects Ulyanovsk and Dimitrovgrad. It features a sauna and a free private parking. Set in Ulyanovsk, Hostel Aprel features free WiFi. Boasting a 24-hour front desk, this property also provides guests with a restaurant. Offering free Wi-Fi, a 24-hour reception, and varied breakfasts, this 3-star hotel in Ulyanovsk is 4 km from the Upper Terrace Train Station. There is a sauna and parking is free. Северная features accommodation in Ulyanovsk. The accommodation provides a 24-hour front desk and free WiFi. 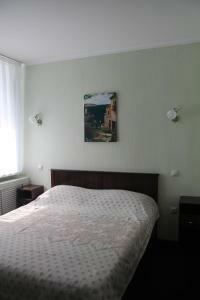 Set in Ulyanovsk, Апартаменты на Радищева features accommodation with a balcony and free WiFi. Guests staying at this apartment have access to a fully equipped kitchen. Featuring free WiFi and a sauna, Old Simbirsk Hotel offers pet-friendly accommodation in Ulyanovsk. Free private parking is available on site. Featuring free WiFi, Simbirsk Hotel offers accommodation in Ulyanovsk. Guests can enjoy the on-site bar. 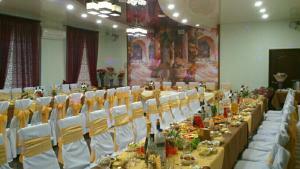 This 3-star hotel enjoys a quiet location in Ulyanovsk, a 15-minute walk from the River Volga. The Goncharov Hotel offers stylish rooms with a flat-screen TV, and free parking. Located in the centre of Ulyanovsk, 5 minutes’ walk from the Versal Shopping Centre, Hotel Venets features free Wi-Fi and a number of onsite dining options. Rooms here feature a TV with cable channels, a refrigerator, and private bathrooms.